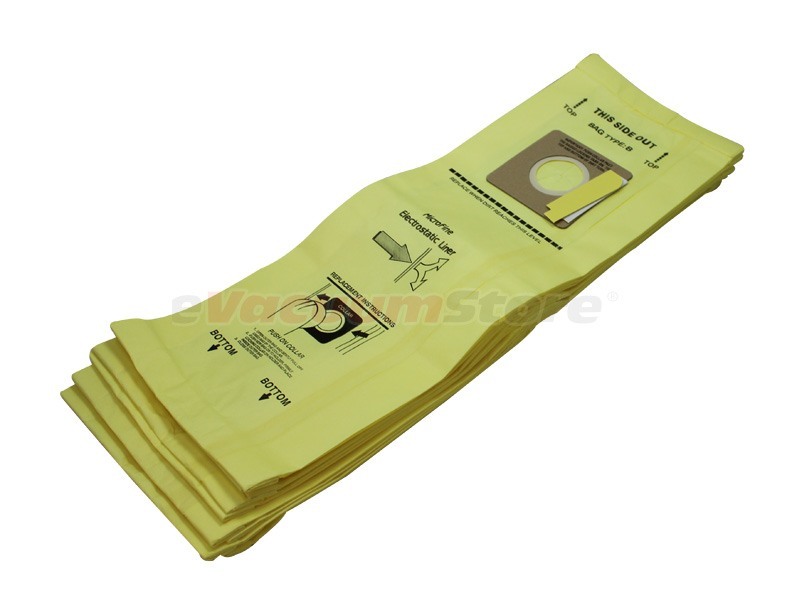 Hoover Type B vacuum bags feature a top fill design for upright vacuums for maximum containment. The Hoover B bag fits the U4707, the U4730, the Signature Lightweight Upright, and the Task Vac Commercial vacuum. At 10 bags a package for under 10 dollars, the Hoover Style B bags for upright vacuum cleaners comes as an affordable purchase for Hoover vacuum owners. One package of bags could last you as long as eight months depending on your vacuum. Call eVacuumStore.com today at (866)-972-8227 to equip your Hoover upright vacuum with the proper bag to keep your home or office clean.